The largest volume, shown in part, is the SI standard of 1 cubic meter (m3). 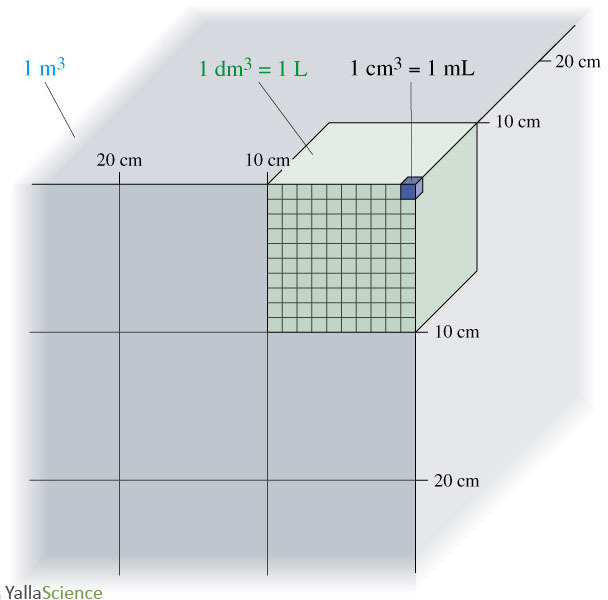 A cube 10 cm (1 dm) on an edge (green) has a volume of 1000 cm3 (1 dm3) and is equal to 1 liter (1 L). The smallest cube is 1 cm on edge (dark blue) and has a volume of 1 cm3 = 1 mL.